R.S. 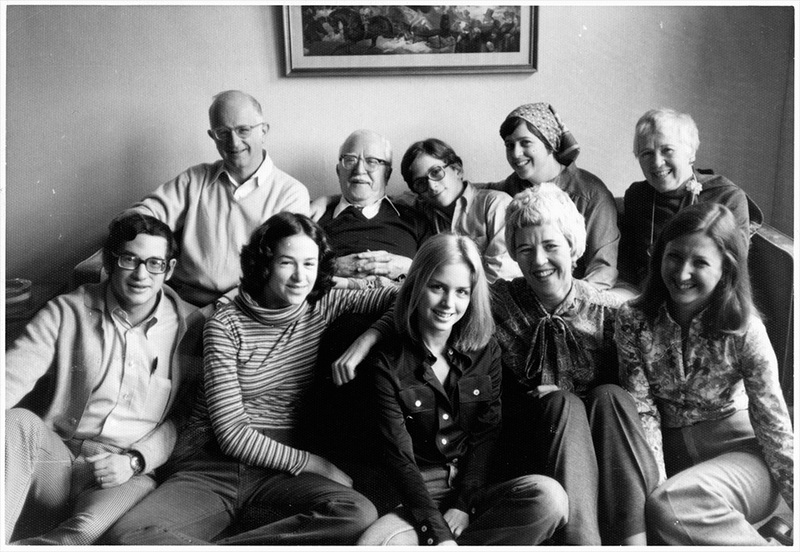 Mendelsohn , TG Remer, Harry Remer, Ruth Lockshin, and Annetta Remer sitting on a couch in front of Martin Lockshin, Sally Mendelsohn, Abby Remer, Rita Mendelsohn, and Pat Remer, in NYC on Thanksgiving 1977. Photographed by Michael Remer.